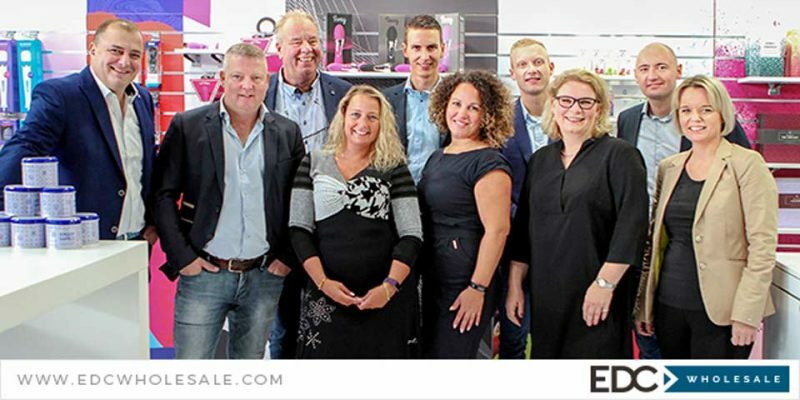 The EDC Wholesale team received four new industry awards during the eroFame Trade Convention in Hanover. 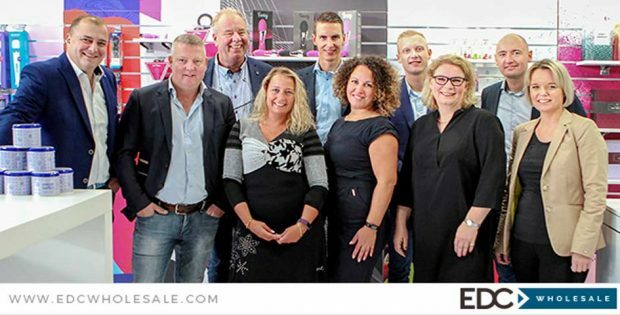 EAN named EDC Wholesale ‘Most Progressive International Wholesaler’ and awarded the company with the ‘Outstanding House Brand Designs’ award, while SIGN magazine honored the companies CEO, Eric Idema, with the ‘Manager of the year’ award and named EDC Wholesale ‘Best European Supplier’. EDC Wholesale has grown tremendously since they first attended the eroFame show in 2014 as an exhibitor. This year the company introduced 10 new house brands on a 130 square meter booth, right at the entrance of the show. The booth was a perfect reflection of what the company has to offer, showing a large collection of house brands and many popular and unique third-party brands. The bar was open all day for beverages and typical Dutch snacks, during the ‘Dutch Delicious Event’ at the end of the day.